Jeffrey Eugenides has 1 media appearance. Jeffrey Eugenides discusses Middlesex: A Novel. May's Milner Book Club guarantees some meaty reading with two great titles: first, the Pulitzer Prize-winning Jeffrey Eugenides with The Marriage Plot, a love triangle that's bound to be anything but predictable. The second book takes us into wartime history with The Zookeeper's Wife, a Schindler's List-like true account of a couple and their plan to shelter refugees from the Nazis. Please join us for this exciting opportunity to hear Pulitzer Prize-winning author, and University of Chicago's 2013 Kestnbaum Writer-in-Residence, Jeffrey Eugenides, reading from his latest work. Liz Whaley's choices for the Water Street Bookstore Discussions are among the most popular books in our store. Discussions are held the third Sunday of the month from 3-4:15 p.m. at the bookstore. Just pick up the book in the store, read it, and join Liz. For more information, call us at 603 778 9731. Jeffrey Eugenides is currently considered a "single author." If one or more works are by a distinct, homonymous authors, go ahead and split the author. 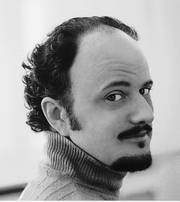 Jeffrey Eugenides is composed of 21 names. You can examine and separate out names.